Isn't Bonita House a residential treatment program? Bonita House was the agency's flagship program first opened in 1971 by a group of concerned citizens and mental health consumers as a more humane response to traditional psychiatric institutionalization. 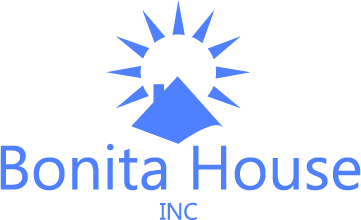 Since that time the agency, Bonita House, Incorporated, has expanded its services considerably, including four other residential sites, case management services, and a day socialization program. What do you mean by "dual diagnosis"? In mental health, psychiatry, and addiction medicine, the term is used to describe the co-existence of a mental health disorder and a substance use disorder. Can somebody have more than two disorders at the same time? Yes. It is not unusual for somebody to have more than two diagnoses. In fact, the term, co-occurring disorders is a more accurate term than dual diagnosis. As an example, somebody may have a major depressive disorder, a panic disorder, and have a polysubstance abuse disorder. One disorder may prompt the emergence of another, or they may exist independently. What kinds of problems do you work with at Bonita House, Inc.? Our programs are designed to work with people with severe and persistent psychiatric disabilities, such as schizophrenic disorders or bipolar disorders (previously known as manic-depression) and concurrent substance use disorders, such as alcohol or drug addiction. Wouldn't it be easier to treat each disorder one at a time? This type of sequential treatment is how people with co-occurring disorders have been treated historically. They would be told by one system of care, either the mental health or chemical dependency system, to resolve the other condition first before working with the remaining issue. Or people would receive parallel treatment, getting mental health services from one system and going to another for drug/alcohol treatment. This may work for people with less serious issues. For people with more severe disorders, integrated treatment, working with both disorders concurrently and simultaneously, is the most effective. Is there any interaction between psychiatric disorders and alcohol and other drug (AOD) use? The interaction between both acute and chronic alcohol/drug use and psychiatric disorders is significant and must be taken into account when diagnosing and treating people with dual disorders. Acute and chronic AOD use, as well as withdrawal, can cause symptoms that mimic psychiatric disorders and psychiatric behaviors can mimic behaviors associated with AOD problems. There are many other associated problems with this. We recommend DHHS TIP Series 9 as a good source for more information. How many people with psychiatric disorders also have substance use disorders? Though the research varies, the evidence consistently indicates that people with psychiatric disorders are more vulnerable to AOD problems. From 50-65% of people with a severe psychiatric illness have had a substance use disorder sometime during their lives. This compares with less than 20% in the general population. Are mental health clients more violent than the rest of the population? No. There is no statistical evidence that people with psychiatric disorders are more dangerous than anyone else in the population. The fact is that people with mental illness are often more vulnerable to being victims of violence. Can people with co-occurring disorders ever really get better? We strongly believe that people can and do get better. We've seen it time and again. Our conception of dual recovery is that people are living well, clean and sober lives, have control over their own lives, feel that they have a contributing role in this world, have a sense of self-worth and dignity, and are growing towards the future. With the help of their peers; families and significant others; and informed, compassionate, and committed staff, it is more than possible, it becomes a reality.